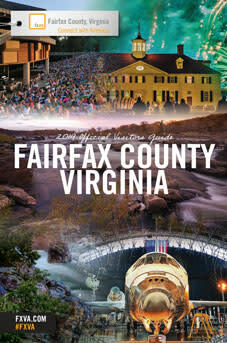 Visit Fairfax offers two primary collateral pieces that are available for your guests. If you would like copies to keep in your business for guests, please give us a call and we will be happy to provide them for you. Or, use these graphics on your website with a link to our online visitor guide. These downloadable marketing materials provide great information about Northern Virginia as a destination and can be placed on your website as a guest amenity. Visit Fairfax will take care of sending the collateral for you!